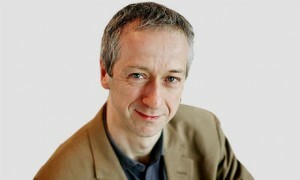 The television industry needs to set several standards around navigation, User Experience, broadcast-led entry points and dual-screen viewing, according to the BBC’s Director of Archive Content, Roly Keating. Speaking at the DTG Summit, he noted that innovation and creativity had brought about new ways of delivering content, and suggested it was important to ensure enhanced accessibility and availability of relevant content. “We believe it is in all our interests to get everyone connected,” he said, adding that it was not just about VOD and apps. His vision of ‘Connected TV heaven’ involved creating a “dynamic bridge” that responded to the channel being viewed. He revealed that the BBC was involved in shared projects across the industry geared towards making the experience as seamless as possible, creating TV that was “smarter, more intuitive, more attuned to what audiences wanted and desired. He confirmed that the BBC was looking at content delivery to PCs, mobiles and tablet devices and wanted to work with “the broadest possible group of the industry to deliver these options.” As such, Keating noted that the BBC had liaised with the DTG on the technical specification for UK Connected TV products and services for inclusion in D-Book 7, the technical specification for UK digital terrestrial television.